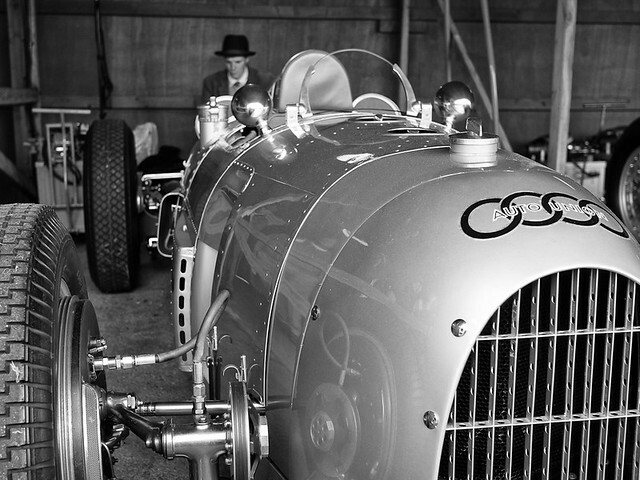 1934 heralded the arrival of the Mercedes and Auto Union to GrandPrix motor racing. 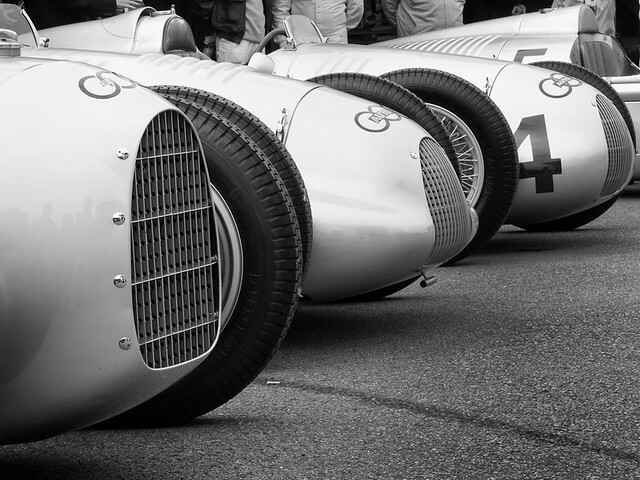 It was a wonderful era and these two makes affectionately known as ‘The Silver Arrows’ dominated top level racing. A year later in 1935 they made their UK appearance at Donnington. 75 years on and to mark this anniversary the 2012 Goodwood Revival Meeting brought this famous racers together once more. 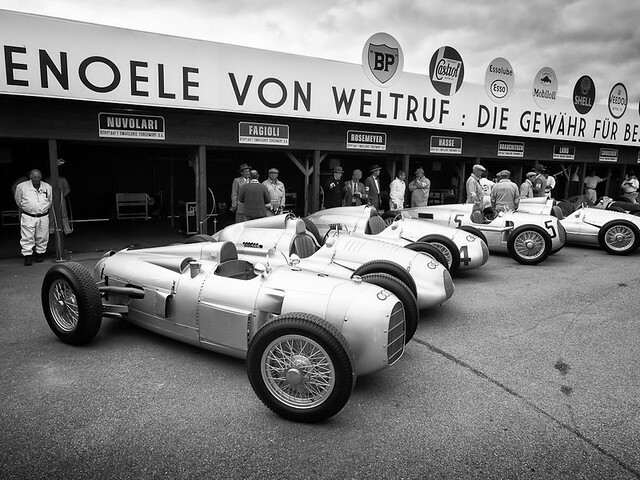 The attention to detail at this annual event is so special that the cars were housed in an authentic recreation of the pits at the Bremgarten circuit which staged the Swiss Grand Prix in 1938. 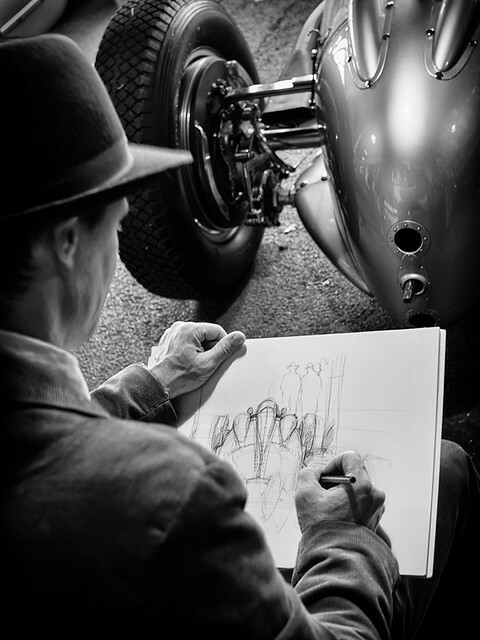 As well as recording these magnificant cars in camera, there was an artist doing a superb pencil drawing of one the Auto Union racers. All the photos were taken using an Olympus EM5, imported into Lightroom and converted into black and white using Silver Efex Pro. 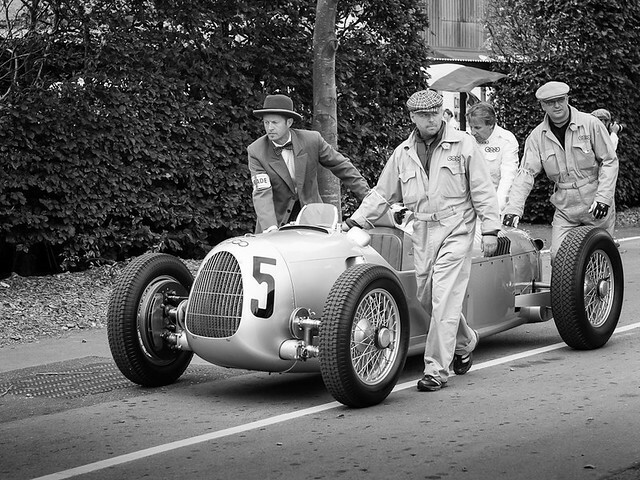 This is the first entry about the Goodwood Revival Meeting. When time permits more will follow.